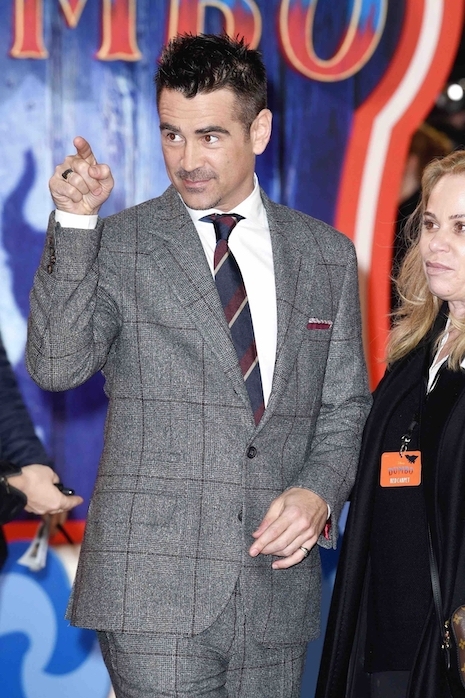 We have to admit that before he went into rehab in 2005, Colin Farrell was TONS of fun. In the early 2000’s, the Irish actor was in his 20’s and wildly celebrating his success in Hollywood. Everybody seemed to love him – Colin stayed at the Chateau Marmont Hotel and he visited every bar within walking distance on Sunset Strip. He turned on the Irish charm and had flings with whatever pretty actress he encountered, from Angelina Jolie to Demi Moore. The Chateau Marmont was a hotbed of gossip when he was in town– he even hooked up with Britney Spears there. He may not be quite as much fun as he was before rehab, but he’s still a cutie and now promoting his new movie, Tim Burton’s Dumbo.